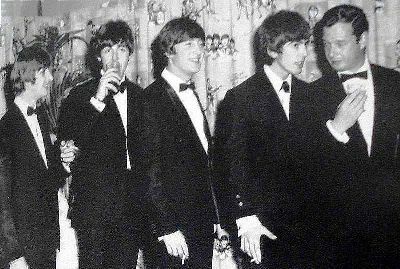 Brian Epstein Met The Beatles Today. On this day in 1961 the music world changed forever. 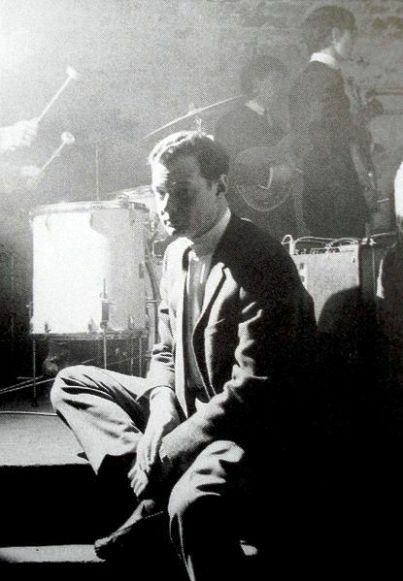 In a Liverpool nightclub called the Cavern, record store manager Brian Epstein was there to hear the Beatles. Two months later, he was their manager and helped them land their first record deal in 1962. John, Paul, George and Ringo were well on their way to changing the world. Epstein took the four boys from blue jeans and leather jackets to clean-cut suits and ties, and launched them into stardom. By the time they hit American soil in 1964, Beatlemania was full speed ahead and the fab-four were mobbed when they arrived at Kennedy Airport in New York. 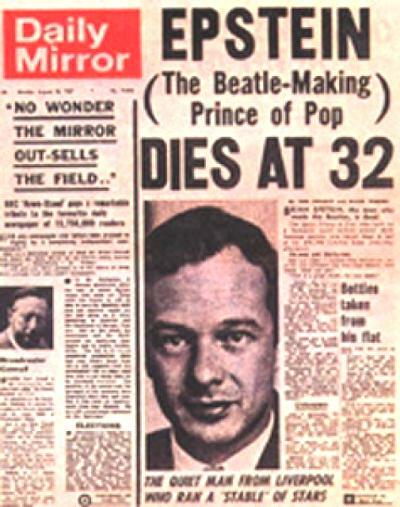 Brian Epstein died of an accidental overdose of sleeping pills in August of 1967, and the Beatles formally broke up in 1970. Broken but not forgotten the Beatles continue to hold a very important spot in music history. Here’s a little something you may not know…..
Epstein was gay, which was not publicly known until a long time after his death, although it was an open secret among his friends and business associates. While Epstein was in the Army, he had a tailor make an officer’s uniform for him that he wore when cruising the bars of London, but was arrested one night (for impersonating an officer) at the Army and Navy Club on Piccadilly by the Military Police. Epstein managed to avoid a court martial by agreeing to see an army psychiatrist, who uncovered Epstein’s homosexuality. He was discharged from the army after ten months on the medical grounds of being “emotionally and mentally unfit”, although Epstein later stated that his first homosexual experience was after he returned to Liverpool. previous post: Beyonce Knowles As Wonder Woman? next post: Donald Trump Loves Jennifer Hudson, Gives Family Shelter.